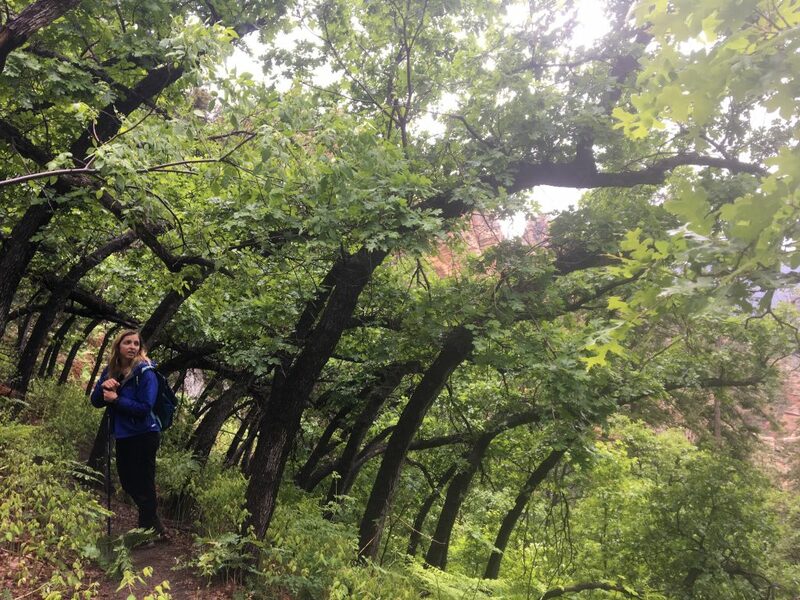 The Sterling Pass Trail starts in the heart of Oak Creek Canyon just north of Sedona. 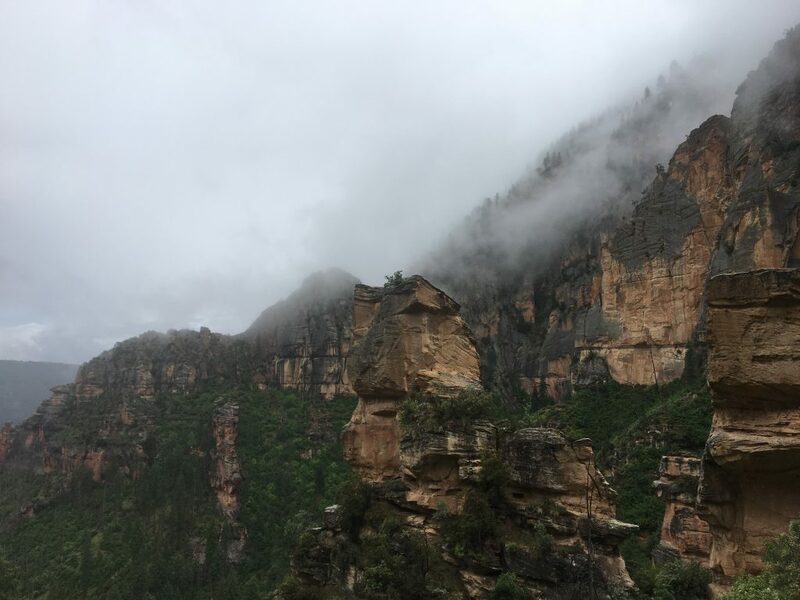 This out-and-back trail offers a plethora of amazing views without the exertion of a Grand Canyon hike. Additionally, Arizona’s biodiversity of plants and animals are on full display as you ascend to the top of the pass and subsequently drop down towards Vultee Arch. Though the supremely fit hikers out there may be able to speed through the hike in a couple hours, most hikers should anticipate a round-trip time of about 4-5 hours with plenty of spots for breaks that are truly breathtaking. From Flagstaff, head south on Interstate 17 and take Highway 89A towards Sedona. Keep on Highway 89A headed south down the switchbacks into Oak Creek Canyon. The trailhead is just north of Manzanita Campground between mile markers 380 and 381. Park your vehicle just south of Manzanita Campground in the car pullout on the east side of the highway. If you pass Encinoso Picnic Area (on your right), you have gone too far south. Parking at Manzanita Campground is an option, but make sure that you get permission from the camp host. From the pullout, carefully walk north about 1/4 mile along highway 89A until you see the Sterling Pass / Trail 46 sign on the west side (left side) of the highway. From Phoenix, head north on Interstate 17 and take Highway 179 towards Sedona. Once you pass through the Village of Oak Creek and enter Sedona, take the roundabout exit for Highway 89A North. Continue on Highway 89A northbound out of town, past Indian Gardens Cafe, and when you pass Encinoso Picnic Area (on your left), you are getting close. The trailhead is just north of Manzanita Campground (which will be on your right as you head north) between mile markers 380 and 381, but you should park your vehicle just south of Manzanita Campground on the east side of the highway. Parking at Manzanita Campground is an option, but make sure you have clearance from the campground host. 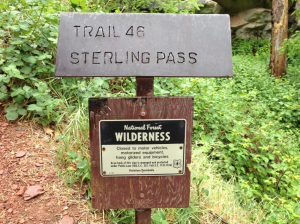 Once you park your vehicle, carefully walk north about 1/4 mile along Highway 89A until you see the Sterling Pass / Trail 46 sign on the west side (left side) of the highway. From the highway, the trail quickly gains elevation as you hike westward away from Oak Creek. One way to Vultee Arch via the Sterling Pass trail is about 2.4 miles (thus round-trip distance is just shy of 5 miles). Hikers should be aware that there is an ascent of over 1000 feet followed by a descent of over 600 feet before the final push to Vultee Arch. 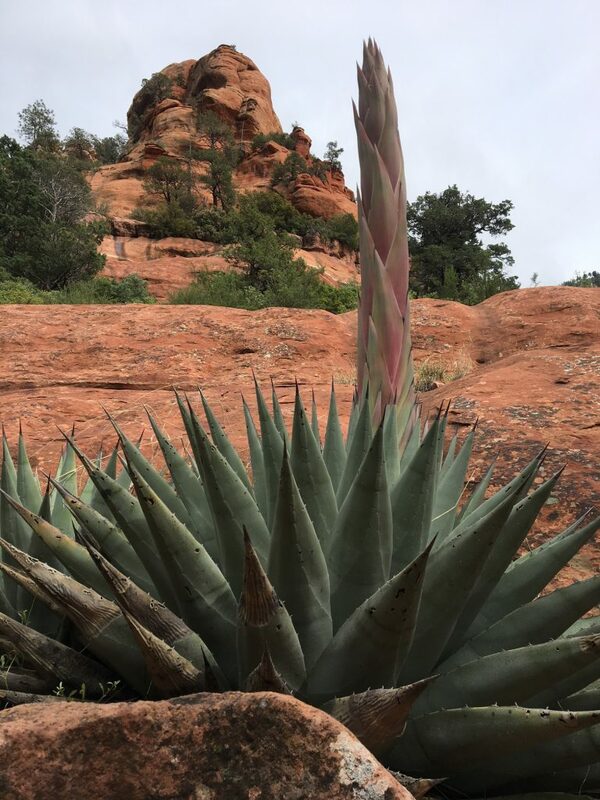 Your journey starts in a wonderfully diverse Arizona forest replete with Ponderosa Pines, Gambel Oaks, Alligator Junipers, Banana Yuccas, Utah Agaves, Globemallows, Penstemons, and Prickly Pear Cactus. The forested canyon reveals not just a diversity of plant life, but of animal life as well. Deer tracks cover the trail even over the pass. Hummingbirds seem to defy physics as they investigate you, a supposed intruder in their home. Tropism or Vortex? You be the judge! As you head upward and onward along the trail, it’s exceedingly difficult to not find something new and mesmerizing with each step. 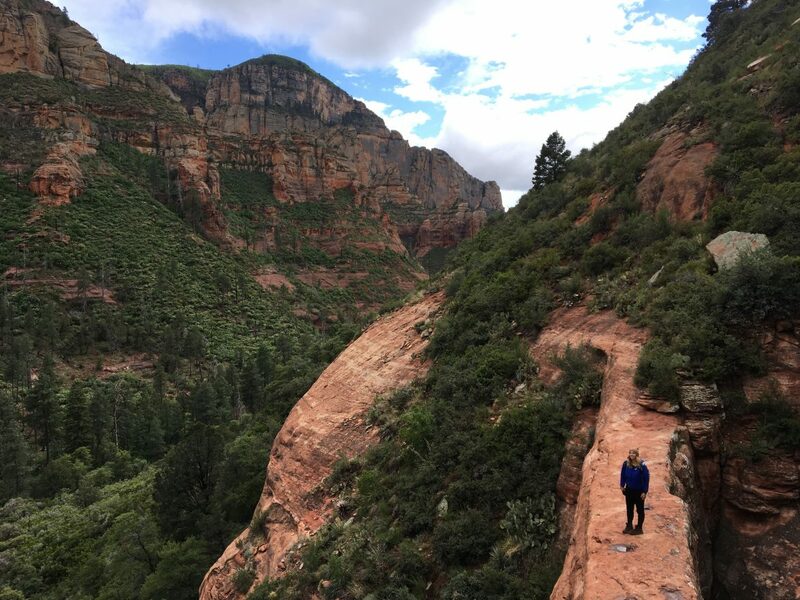 The switchbacks to the top can seem daunting until you realize that with each twist and turn, the trail shows you another, even more awe-inspring view of the canyon if only you stop and turn around. Once over the pass, you descend into a seemingly magical forest of oaks displaying tropism, a phenomenon where trees (or any plant for that matter) grow toward or away from an external stimulus. From here, continue your descent through the switchbacks until the trail levels out. Depending on how wet the weather has been, you may cross a forest stream on your way to Vultee Arch. The trail to Vultee Arch will turn off to the right, and you will have the option of climbing to the top of the arch, traversing below the arch, or simply gazing at the arch from afar. Whatever your choice (perhaps all the above), make sure to be safe, bring plenty of water and snacks, and dress appropriately for the trail and weather (hiking shoes, rain jacket, etc.). For those adventurous souls seeking a physically challenging and aesthetically rewarding hike in Northern Arizona, Sterling Pass Trail delivers on all fronts.